His family is of middle-class Italian origin. While his father Jorge was a factory worker, his mother Celia was a part-time cleaner. He was offered a place in the national team by Spain which he did not accept. He wanted to wear blue-and-white Argentinian jersey, a chance he first got in 2004. He is featured on the front covers of the video games Pro Evolution Soccer 2009 and Pro Evolution Soccer 2011 and is also involved in promotional campaigns for the games. 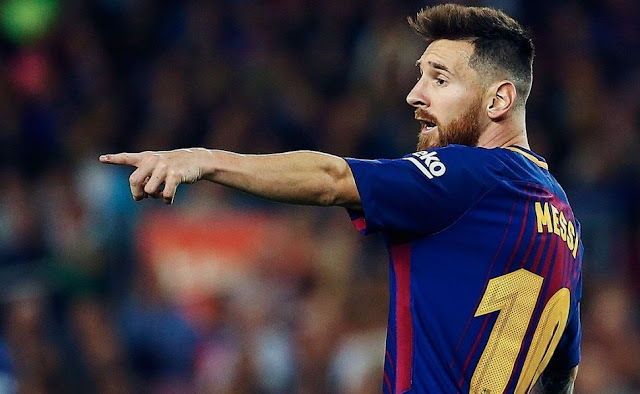 Barcelona was so impressed with Messi's skills that they offered to pay his medical bills and move the family to Spain just to sign him when he was 13. That probably explains why the contract was first signed on a napkin. in Japan in March 2013 to raise funds for victims of the 2011 Tōhoku earthquake and tsunami. It was valued at $5.25 million. Messi supports a number of charities through his Leo Messi Foundation. He also works for people suffering from Fragile X Syndrome (a disease related to autism). He is also a a goodwill ambassador for UNICEF. He was detected with a growth hormone deficiency at the age of 11. His parents could not afford his treatment, which was $900 a month. was also the youngest player to ever score for Barcelona. His 2005 international debut lasted 47 seconds when he received a red card after coming on as asubstitute. Messi shares his birthplace with the Argentinian revolutionary Che Guevera. Both were born in Rosario, Argentina. Barcelona officials were quick to spot his footballing skills. They offered to pay for Messi's medical bills and the family shifted to Spain. Messi's skills that he wanted to make a contract immediately and there was no paper available at that time. calendar year during international competition with both his club and his country.